If you have lost one or more teeth and just can't or don't want to go forward with ordinary bridges and dentures— a dental implant may be the right solution for you. 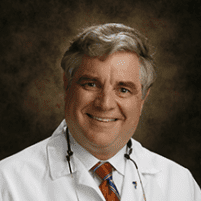 Seek consultation with Dr. S. Clarke Woodruff who is skilled at providing permanent smile restoration in Hellertown, Bethlehem, Allentown, and the surrounding Lehigh Valley communities. Dr. Woodruff works carefully to ensure that you receive the right restorative care the first time. To learn more about your dental implant options, call or click today to schedule an appointment. A dental implant is an artificial tooth root mostly made of titanium that fuses with the jaw bone. An implant acts as a strong and sturdy base to support one or more artificial teeth called crowns. The crown can directly be placed on the implant or may be connected by a middle piece called abutment. The crown is custom made according to your choice and shade to match the rest of the teeth in your mouth. It is the closest you can get to the healthy, natural tooth and has been successfully used for over 30 years. About three million people in the U.S. have implants, and the number is growing by 500,000 annually. What can I expect during a dental implant surgery? Once you and Dr. Woodruff confirm that you would like to have a dental implant, we will facilitate scheduling with a local oral surgeon to complete the treatment. If a damaged tooth is present, Dr. Woodruff and the implant surgical team will remove it and prepare the jaw bone to receive the metal implant. For the next several months, you heal gradually as the implant fuses and bond with your jaw bone. On the next visit, he places the metal abutment on top of the implant and makes molds of your teeth and jaw bone for the final placement of the porcelain crown that you’ll see above your gums. Most dental implants last for a lifetime — if you practice good oral hygiene, visit your dentist regularly, and give up damaging habits. If you are looking for a permanent solution for your missing teeth, call S. Clarke Woodruff, DMD, or book an appointment online.